Auto dealer websites can be powerful online tools that enable dealerships to attract more visitors and generate more leads. It’s a digital world, and your website is the very first sales rep that a potential client will see. Few people these days wander onto a lot as their first action when buying a vehicle. Most potential buyers spend hours researching beforehand, which means heading online to find information. 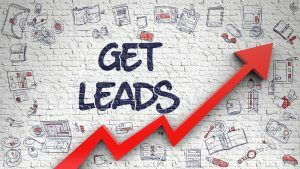 Here are ways auto dealer websites can generate more leads. Mobile-friendly, responsively designed websites are key to generating more leads. Many people use their phones as their primary devices to access the internet, which means they are looking at your site from a small screen. If your site is designed for impeccable beauty and functionality, but only from a desktop, you’re going to lose out on smartphone users. To bring in more leads, your auto dealer websites must be usable from devices. How fast do your pages load? They may not load fast enough for today’s internet users. When people click a link, they want to see the content right away. If you’ve noticed that your bounce rates are high, take a look at your loading speed. It’s the number-one barrier for people trying to access websites on the internet. Once your auto dealer websites are mobile and fast, then you need to consider your content. Are your pictures high quality? Are you providing all the information a user is searching for? They’ve come to research vehicles for purchase—are you giving them access to all the vehicle information they need? At the same time, consider your navigation. Is it easy to find this information? Start from your homepage and imagine you’re a new user. Pose questions a customer is likely to ask and try to find that information based on the available headings, menus, links, etc. You want your site to look professional and credible; present yourself as an expert in your field. The more you look and act like the expert, the more likely visitors are going to trust you and choose to give you their business. Offer valuable information potential buyers can’t find anywhere else. By this point, if all has gone well, you have an interested visitor. Now’s the time to turn them into a lead. Make sure your contact information is clear and readily available. If users have to search for a phone number, you might lose them. As well, make sure your digital forms for appointment bookings and similar appointments are simple and straightforward. Finally, consider your back-end: analytics. Start watching who’s coming to your site and from where, how long they stay, how they click around, and a host of other data. With appropriate breakdowns of your analytics, you can learn a lot about potential customers and adjust your website to better attract and convert leads. The key to lead generation on a website is ensuring that the audience that finds you is taken care of and gets what they came for. If you prepare your front end with the above elements to keep a user happy, and monitor actions and reactions with analytics, your auto dealer websites will start generating leads faster than before.